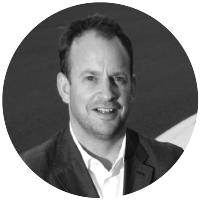 Paul has a huge breath of 20+ years digital expertise, previously CEO of Oyster, Omnicom’s first digital investment in Europe, and then UK CEO of FullSIX a leading European digital agency. Paul then set up his own brand partnerships and social media agency, and has in various roles worked on digital projects with BT, Orange, Vodafone, EPSON, Savills, P&G, Hertz, Bacardi, Nokia and L’Oreal. Prior to his agency experience Paul worked at Coca-Cola & Schweppes and Diageo PLC on NPD strategies, new market entry and business development involving the sale and disposal of brands worth over $200m. Paul is a pragmatist and oversees our Commercial strategy and has significant experience securing and managing partnerships, programmes and projects, whilst driving innovation. In his spare time Paul is happily kept busy by his wife and 3 children (and increasingly open about his passion for a resurgent Liverpool FC).